How Much of a Rebate Will I Receive? Typically, we offer between 33% - 50% of our commission in the form of a rebate. The amount depends on the number of homes shown and time spent. The buyer can use this rebate for their down payment, closing costs, to buy points on their mortgage, and in some cases, can even take the rebate as cash at closing. It’s important to note that if you’re using a mortgage lender to finance your home, they have to approve how you use the rebate. Many lenders won’t let you take the rebate as cash at closing. In a sellers market, home buyer rebate is a powerful tool that savvy buyers can use to stand out from their competitors. If a home is listed at $400,000, a buyer that’s receiving a rebate could potentially offer $406,000—and pay the exact same amount as another buyer that offered $400,000. The graphic below shows how the rebate process typically works. 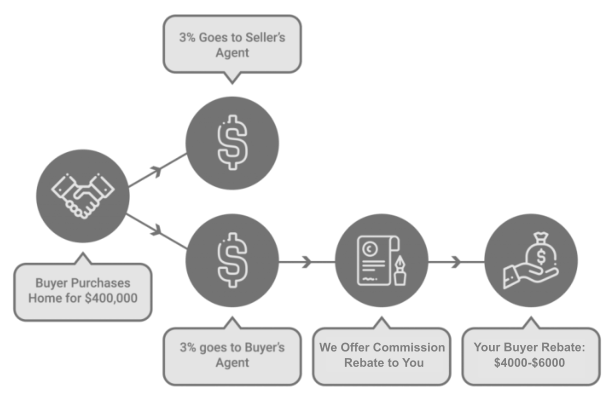 If the buyer has hired an agent that offers a commission rebate, the agent will give them a portion of the commission offered by the seller’s agent. Commission rebates are legal in 40 states, and the US Department of Justice supports making rebates legal in all 10 states. The answer is yes. The IRS says that a cash rebate paid to a buyer of property at or after closing is an adjustment in the price, and is therefore not taxable income to the buyer. ... Since they are not taxable income, such rebates need not be reported on Form 1099-MISC. We do recommend that you consult with you accountant for verification. We can rebate you in the form of a check after closing, reduction in sales price (this could lower your cost basis for property taxes), or pay closing cost. Search for property on your favorite website, i.e. Realtor.com, Zillow, Trulia, etc.. Sign up for new listings. If possible, drive by properties of interest. Narrow down your choices based on neighborhood, price, etc. See if the listing agent will show you the property but do not sign an agreement. 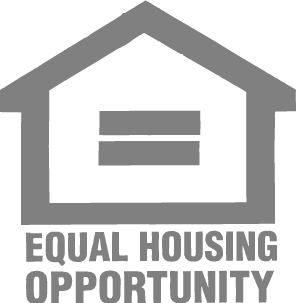 Submit contact form and indicate the MLS #s or addresses of properties you are interested in. We can assist you with your home search, property tours, making an offer, negotiating a deal, writing the contract, and closing sale. 1) Contact us - BEFORE you sign a contract with builder, seller, agent or starting the process. 2) Make sure to list "Listing Results, LLC" as your agent, when visiting builders. 3) Close on your dream home and collect your rebate! We can credit it towards your closing costs or price reduction. Typically mortgage companies do not allow you to take money outside of closing. The rebate must be put in the sales contract and best best way is to pay your closing cost that you would normally out of pocket. This would be the same thing as writing you a check.